Colts Alumni in the NHL Update by @evil_shero. - Very Barrie Colts | A website covering the Barrie Colts of the OHL. 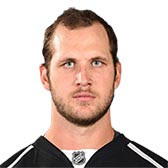 Home Aaron Ekblad alumni blog Kyle Clifford LA Kings Mark Scheifele NHL Paul Tanner Pearson Winnipeg Jets Colts Alumni in the NHL Update by @evil_shero. Colts Alumni in the NHL Update by @evil_shero. St. Louis has gone 5-5 in the passed 10 and the Blues are shuffling their defensive corps. The moved Alex to the left side for the first time in his career to further help the team string together some wins. 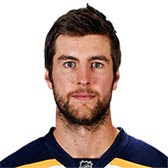 Pietrangelo leads the Blues with takeaways and shots per game in this two week stretch. The Panthers are falling fast. 5-4-1 in their last 10. 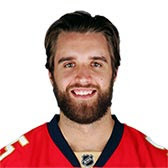 Ekblad is coming under fire with only having 3 points in his last 14 games with no goals. 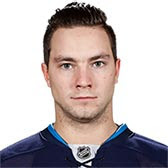 He came into the this season with a career +30 and is now -16 in his young stint in the NHL. Ekblad is on pace for 26 points this season which would be a massive step down from his 39 points in his rookie campaign. Brodie is in a three-way tie for the third worst plus/minus in the league at minus-16. I know +/- is not the best stat to measure a player's performance but when you're the lowest in the NHL ... woof. The Flames are holding on to a whisper of an NHL playoff season with the benefit of a weak division and Brodie is the scape-goat. The Flames are the most short-handed team in the NHL which doesn't help any defenseman with their game. 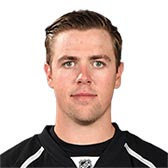 However, he is one player I'd love for the Penguins to trade for when they inevitably have to move Flower. The major news with Girardi is that he's being shopped. His 5.5m cap hit for 3 more years in considered a "must move" contract. His ice time is down recently to around 19m a game and most consider him gone by trade deadline. Girardi is a stay-at-home player who blocks shots and hits. 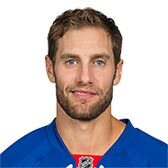 He leads the Rangers in hits these passed two weeks but other defensive stats have declined to 4-5th level on the team. 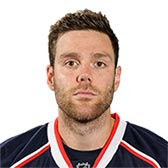 Since coming back from injury, it's been tough for Prout to crack the line-up of the Cinderella-story Blue Jackets. He has been a healthy scratch for the passed 3 games. He did play against the Hurricanes on 1/10 earning 2 hits and a blocked shot. 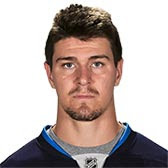 Scheifele is on a hot streak scoring 4 goals in the passed two weeks. He is also shooting at a 33% pace which is crazy. Currently 11th in the entire NHL in scoring, there aren't too many players on his level right now. 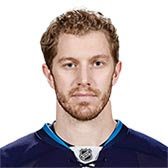 He leads the Jets in most scoring shooting stats and is leading the team in points. Pearson is back on track with 3 goals in the last two weeks. He's had 5 points in his last 5 games. With the injury to Toffoli the Kings really needed his offense and he's delivered. He also has a point in the last 7 of 9 including 2 game winners. Little has 16 points in his last 21 games coming back from injury. 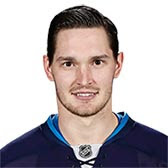 Since the absence of Laine who was concussed by the Sabre's McCabe, Little and Scheifele have been the few bright spots on the struggling Jets team who has only won 3 of its last 10. With the Islander's shake up firing long-time coach Capuano, Strome is looking to revive his young career with the Islanders. With only 1 assist in 2017 he's been demoted to the 4th line, in a move that he claims helped him simplify his game. With Weight behind the bench he can only hope he can earn a better spot on the team. 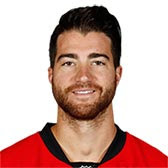 Clifford netted a goal and 15 PIM by fighting Luke Witkowski from the Lightning. Clifford is doing his job by being 4th in the league in fighting majors and 78 hits this season. Andreas was one of the most productive players on the ice recently going on a 7 point tear. He's now at 14 points in 27 games and riding a 3 game goal-scoring streak in which he's earned 7 points. He is also running a 2.12 points per 60 which puts him in Crosby/McDavid range of potential. Take that how you want. 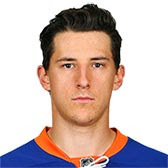 Burmistrov was claimed by the Coyotes after being placed on waivers by the Jets. 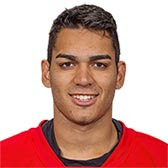 He has struggled getting a work visa for over a week and has earned an assist Monday in his Coyotes debut against the Oilers. It's all up to Alex and how hard he wants to work. 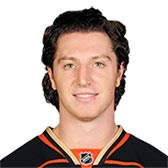 He can be in the KHL by this spring of revive his career in the desert. Labanc has cooled off a little for the Sharks predictably. 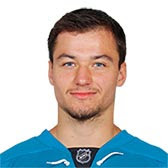 He's still on the Shark's second line with Logan Couture and the recently rejuvenated Mikkel Boedker. He's also earning time on the Shark's 22nd ranked Power Play. Labanc has surprised alot of people in his unexpected NHL debut season. Sgarbossa was recalled by the Panthers on 12/29. Putting in 13 points in 14 games for the AHL Falcons he's earned his call up. Earning bottom pair minutes he will need to do whatever he can to stay on the Panther's squad. When Barkov, Bjugstad, and Huberdeau get healthy he might get shipped back the Springfield. Hutchinson has lost his last 4 decisions on a poorly performing Jet's team. The Jets are a team that is slipping downward to the NHL basement and being a back up on a team like that will not do you any favours.